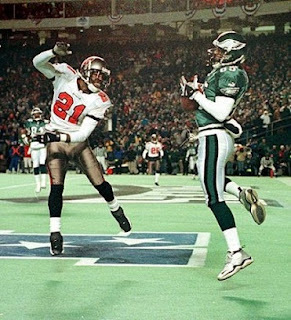 The Philadelphia Eagles were back in the playoffs for the first time in four years as they hosted the Tampa Bay Buccaneers in a NFC Wild Card playoff game on December 31, 2000. In their second season under Head Coach Andy Reid, the Eagles had gone from 5-11 to 11-5 and finished second in the NFC East. QB Donovan McNabb (pictured above) was the key to the offense with his passing and running ability. The ground game had suffered since RB Duce Staley went down with a foot injury in the fifth week, and ex-Seattle and Dallas RB Chris Warren joined the club late in order to try and upgrade the position for the postseason. Key players on the opportunistic defense were DE Hugh Douglas, MLB Jeremiah Trotter, and FS Brian Dawkins. Following an uneven start, Philadelphia was hot coming into the postseason, having won six of its last seven games. Tampa Bay was coached by Tony Dungy and placed second in the NFC Central at 10-6. A strong defense was the key to the club’s recent success and was especially adept at pressuring opposing quarterbacks. All-Pro DT Warren Sapp accounted for 16.5 sacks and DE Marcus Jones another 13. The offense was conservative and keyed by the ground game that featured the running back tandem of Warrick Dunn and Mike Alstott. But WR Keyshawn Johnson was talented, QB Shaun King was unexceptional. The Buccaneers also had difficulty playing in weather under 40 degrees, and they faced temperatures in the thirties with a wind chill that made it seem much colder in Philadelphia. There were 65,813 fans present on a chilly night at Veterans Stadium. The teams exchanged punts through a scoreless first quarter. On their first possession of the second quarter, the Buccaneers advanced into Philadelphia territory for the first time. Shaun King completed passes to Warrick Dunn for 12 yards, Keyshawn Johnson for 14, and Mike Alstott for eight yards, after which Alstott ran for 18 yards to the Philadelphia 17. The drive stalled at the 11 and Martin Gramatica kicked a 29-yard field goal for the first points of the game. The Eagles had to punt following their next possession but got the ball back at the Tampa Bay 15 when King fumbled while being sacked by Hugh Douglas and DE Mike Mamula recovered. It was the culmination of a series in which the Philadelphia defense pushed the Buccaneers back nine yards on two running plays. 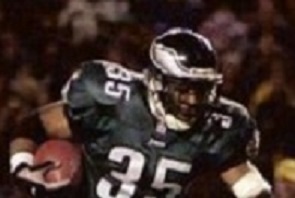 Four plays later, Donovan McNabb ran up the middle for a five-yard touchdown. David Akers added the extra point to give the Eagles a 7-3 lead. The Bucs punted again and, after RB Brian Mitchell returned the kick 16 yards, the Eagles had the ball at their 31 with 1:43 remaining in the first half and drove 69 yards in eight plays. McNabb completed back-to-back passes to Mitchell for 13 and 11 yards and, following an incompletion, it was Mitchell running for six yards and then grabbing another pass for nine yards to the Tampa Bay 30. McNabb connected with WR Charles Johnson for 25 yards and with WR Na Brown in the end zone for a five-yard TD (pictured below) with 12 seconds remaining on the clock. Akers again kicked the point after to give Philadelphia a 14-3 halftime lead. The Eagles had the first possession in the third quarter and put together a long drive. McNabb completed seven passes, none longer than nine yards, and Chris Warren had a pair of seven-yard runs. But Philadelphia came up empty when Akers missed a 36-yard field goal attempt. The Buccaneers again had to punt and, in a series that stretched into the fourth quarter, the home team advanced 57 yards in 10 plays, helped along by a pass interference call on the Bucs. McNabb threw to TE Jeff Thomason for a two-yard touchdown, Akers converted, and the Eagles held an 18-point advantage. Following another Tampa Bay punt, the Buccaneers got the ball back when CB Donnie Abraham intercepted a McNabb pass at the Philadelphia 47. King passed to TE Dave Moore for nine yards on first down, but an offensive pass interference penalty moved the visitors back ten yards on the next play, and while a throw to WR Reidel Anthony gained back six yards, two more passes fell incomplete and the Bucs turned the ball over on downs. The Eagles were able to run almost four minutes off the clock as Warren carried on every play, gaining 27 yards on five carries before being tossed for a three-yard loss on third down at the Tampa Bay 35. Sean Landeta’s punt pinned the Bucs back at their six, but three plays later King passed to Keyshawn Johnson for a 41-yard gain to midfield. But once again the visitors had to give up the ball on downs, this time at the Philadelphia 21, in what proved to be their last gasp with 3:50 left on the clock. The Eagles were able to run out the clock behind Warren’s running and won by a final score of 21-3. Philadelphia led in total yards (277 to 199), first downs (20 to 11), and time of possession (34:53 to 25:07). The Eagles rushed for 126 yards while the defense held Tampa Bay to just 50 yards on 19 attempts. They also recorded four sacks to two by the Buccaneers. Each team turned the ball over once. 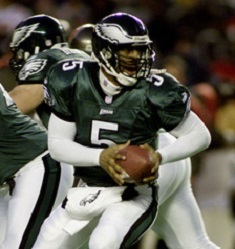 Donovan McNabb completed 24 of 33 passes for 161 yards and two touchdowns with one interception. He also ran the ball eight times for 32 yards and a TD. Chris Warren (pictured below) rushed for 85 yards on 22 carries, much of that as the team controlled the ball in the fourth quarter. Charles Johnson and Brian Mitchell each caught a team-leading five passes, for 47 and 37 yards, respectively. Mitchell averaged 12.7 yards on his three punt returns. For the Buccaneers, Shaun King was successful on 17 of 31 throws for 171 yards with no TDs or interceptions. Keyshawn Johnson caught 6 passes for 106 yards. But Mike Alstott gained 42 yards on 7 carries and Warrick Dunn was held to only one yard on 8 attempts, although he had five pass receptions for 28 yards. The first win for the Eagles in the postseason under Coach Reid, of an eventual 10, was followed by a loss to the division-rival New York Giants in the Divisional round. They reached the NFC Championship game following the 2001 season. Tampa Bay was 9-7 in ’01, qualified for the playoffs once more as a Wild Card, and again lost at Philadelphia in the first postseason round. Cox had an outstanding college career, accounting for 323 tackles, 8 interceptions, 9 forced fumbles, and three sacks, and his 10 blocked kicks set a school record. He was chosen by the Dolphins in the fifth round of the 1991 NFL draft and moved into the starting lineup at right outside linebacker for 13 games. Cox was credited with 61 tackles and two sacks while displaying an ability to make big plays. Dolphins went 11-5 to finish first in the AFC East. Won AFC Divisional playoff over San Diego Chargers (31-0). Lost AFC Championship to Buffalo Bills (29-10). 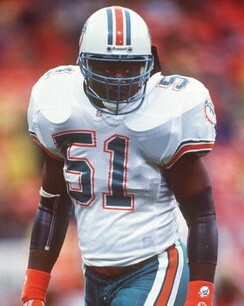 Cox again led the Dolphins in tackles with 122 in 1993. A highly instinctive playmaker, he also was emotionally volatile and subject to controversy. Shifted to middle linebacker, he received Pro Bowl honors after the 1994 and ’95 seasons and moved on to the Chicago Bears as a free agent in 1996. Cox struggled in a new defensive scheme and was limited to nine games by back and thumb injuries. Following another disappointing year in ’97, he was let go by the Bears and signed on with the New York Jets for 1998, where he played well at outside linebacker and was a team leader. He spent two more seasons with the Jets before moving on to the Patriots in 2001, missing time with a broken leg, and New Orleans in 2002, his last season. Overall, Cox played for 12 seasons, recorded 51.5 sacks, four interceptions, and 14 fumble recoveries. He was a consensus first-team All-NFL selection once, received first- or second-team All-AFC honors after two other seasons, and was chosen to three Pro Bowls. 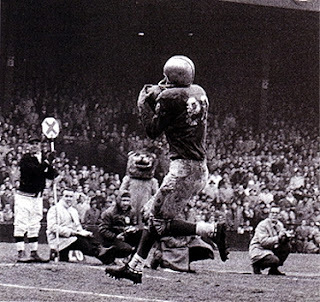 The NFL Championship game on December 29, 1957 featured the Detroit Lions, top team in the Western Conference, hosting the Eastern Conference representative, the Cleveland Browns. The teams had faced off three times earlier in the decade for the league title, with the Browns routing the Lions the last time, in ’54. The season got off to an awkward start for Detroit when Head Coach Buddy Parker abruptly quit on the eve of the preseason and George Wilson was elevated to the top job. 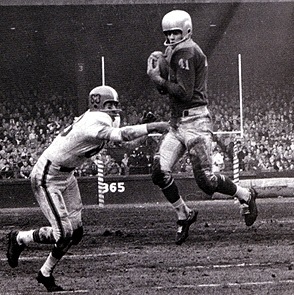 The Lions had obtained QB Tobin Rote (pictured above) from Green Bay to back up star starting QB Bobby Layne, and the deal paid off when Layne went down with a broken leg in the ninth game. Another newcomer, FB John Henry Johnson, came from the 49ers and led the club in rushing. As usual, the defense was rugged, especially at linebacker with MLB Joe Schmidt and in the backfield, led by safety Jack Christiansen. Detroit went 8-4 to tie for first in the Western Conference and was coming off of a dramatic come-from-behind win over the 49ers in the resulting playoff. The Browns, coached by the innovative Paul Brown for the twelfth year, had put together a 9-2-1 record to return to the NFL title game after a one-year absence. 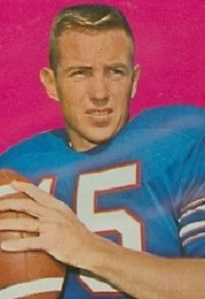 Rookie FB Jim Brown was the league’s top rusher and the key to the offense. QB Tom O’Connell led the NFL in passing efficiency, although he rarely threw the ball, and was already being pushed by rookie QB Milt Plum, who had been slated to start the title contest but suffered a hamstring injury during a recent practice that limited his mobility. The defense was stingy, averaging a league low of 14.3 points surrendered per game. Cleveland lost to the Lions during the regular season but came into the championship contest as a slight favorite. There were 55,263 fans in attendance at Briggs Stadium, where the lights were on although unneeded on a pleasant 32-degree afternoon. They saw the home team score the first three times it had the ball. Jim Martin set the tone by booming the opening kickoff through the end zone. Tom O’Connell threw to end Pete Brewster for a Cleveland first down, but the series quickly bogged down and the Browns punted. Detroit moved methodically, both running with HB Gene Gedman and John Henry Johnson and with Rote passing effectively, and accumulated four first downs. The 10-play, 66-yard drive finally faltered at the Cleveland 24 and Martin booted a 31-yard field goal for the game’s first points. The Lions regained the ball quickly when an O’Connell pass was intercepted by LB Bob Long, who returned it to the Cleveland 19. Following a short running play, Rote faked a pass and instead carried for 17 yards down the middle. Rote ran again for a one-yard touchdown, Martin added the extra point, and Detroit was ahead by 10-0. It got worse for the Browns when HB Milt Campbell fumbled after returning the ensuing kickoff 19 yards and DB Terry Barr recovered for the Lions at the Cleveland 15. Six plays later, Gedman dove into the end zone from a yard out for another TD. Martin’s point after gave the home team a 17-0 lead. As the game moved into the second quarter, the Browns responded by advancing 78 yards in four plays. O’Connell passed to Brewster for 19 yards and flanker Ray Renfro gained 20 yards on a reverse. Jim Brown ran 29 yards for a touchdown and Lou Groza converted to narrow the Detroit margin to 17-7. Following an exchange of punts, the Lions advanced into Cleveland territory. Facing fourth-and-11 at the Cleveland 26, they lined up for a field goal. But Rote, the holder on kicks, took the snap and spun to his right, passing to end Steve Junker, who gathered the ball in at the six and went the distance for a touchdown. Martin successfully converted. Down 24-7 and with the Lions threatening once again, the Browns seemingly got a break when Junker fumbled the ball away at the Cleveland six. But facing third-and-10, O’Connell’s pass intended for Brewster was instead intercepted by Barr (pictured below), who returned it 19 yards for a touchdown. Martin added the extra point and the Lions held a commanding 31-7 lead. The Lions got another chance thanks to a Cleveland turnover when HB Chet Hanulak fumbled and DT Gil Mains recovered with five seconds left in the half. But Martin missed a 44-yard field goal attempt and the score remained unchanged. Milt Plum had taken over at quarterback for Cleveland late in the second quarter, and starting off the third quarter, the Browns finally scored again at the completion of a 10-play, 80-yard series. HB Lew Carpenter ran for the last five yards and a touchdown, and Groza added the point after. But any lingering hopes for a Cleveland comeback in the second half were snuffed out when, on the first play after the kickoff, Rote threw long to end Jim Doran for a 78-yard touchdown. Tempers flared late in the period as both teams drew unnecessary roughness penalties. The rout was on as the Lions then padded their lead with Rote again connecting with Junker, this time for a 23-yard TD. Plum fumbled when being sacked by DE Gene Cronin on the last play of the period and the fourth quarter started with Rote firing another touchdown pass, to end Dave Middleton from 30 yards out. Jerry Reichow relieved Rote at quarterback for the game’s last seven minutes and capped the scoring with a 17-yard touchdown pass to HB Howard “Hopalong” Cassady. Martin converted, as he had done successfully after all of the TDs, and that provided the final score of 59-14. The Lions achieved a franchise high for points scored in a game and administered the worst defeat endured by the Browns up to that time. They led in total yards (438 to 313) and first downs (22 to 17). Cleveland ran effectively, gaining 218 yards on the ground, but also turned the ball over six times, to one suffered by Detroit. Tobin Rote was outstanding as he completed 12 of 19 passes for 280 yards and four touchdowns, with none intercepted, and also rushed for 27 yards on seven carries that included a TD. 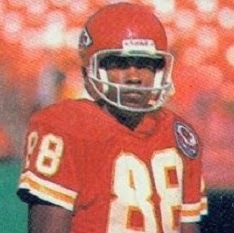 Steve Junker (pictured below) had 5 catches for 109 yards and two touchdowns and Jim Doran gained 101 yards on his three receptions that included the one long score. Hopalong Cassady led Detroit’s rushers with 48 yards on 8 attempts and also pulled in two passes for 22 yards and a TD. Jim Martin made good on all 8 of his extra point attempts and connected for one field goal in two tries. For the Browns, Tom O’Connell was successful on four of eight throws for 61 yards and gave up two interceptions. Milt Plum was 5 of 12 for 51 yards and also had two picked off. Lew Carpenter ran for 82 yards on 14 carries that included a TD and Jim Brown contributed 69 yards on 20 attempts with one for a score and averaged 26.5 yards on four kickoff returns. End Preston Carpenter was the team’s leading receiver with four catches for 43 yards and Pete Brewster gained 52 yards on his three receptions. While it was anticipated that the Lions would contend again in 1958, they instead dropped to 4-7-1 and did not return to the postseason until 1970. To date, 1957 remains the last year that Detroit attained a NFL Championship. The Browns bounced back to go 9-3 in ’58 and tied for first in the Eastern Conference, losing to the Giants in the resulting playoff. They next reached the NFL Championship game in 1964. Carson caught 89 passes for 1728 yards (19.4 avg.) and 14 touchdowns in college and was chosen by the Chiefs in the fifth round of the 1980 NFL draft. He was used primarily to return kickoffs in his first two seasons, catching just 12 passes. Carson saw more action at wide receiver during the strike-interrupted 1982 season, coming on strong in the last three games and catching 27 passes for 494 yards (18.3 avg.) and two touchdowns. Chiefs went 6-10 to finish fifth in the AFC West while ranking second in the conference in passing yards (4341). Carson followed up his breakout season with 57 catches for 1078 yards (18.9 avg.) and four TDs in 1984, becoming the first receiver in franchise history to put together consecutive thousand-yard totals. He had 47 receptions for 843 yards (17.9 avg.) and four touchdowns in an injury-plagued ’85 season and leg injuries in 1986 resulted in six missed games, although he still averaged 23.7 yards on his 21 catches. Carson bounced back with 55 receptions for 1044 yards (19.0 avg.) and 7 TDs in 1987 and was selected to the Pro Bowl. While he had 46 catches in ’88, his yards-per-catch were just 15.5 yards, his lowest as a starter, as he compiled 711 yards. He split 1989 between the Chiefs and Philadelphia Eagles, catching eight passes in his last season. Overall, he caught 353 passes for 6372 yards (18.1 avg.) and 33 touchdowns, with all but one reception for 12 yards coming with the Chiefs. Carson was a first-team All-AFC choice once and was chosen to two Pro Bowls. The AFC Divisional playoff game on December 27, 1970 featured the Oakland Raiders, winners of the AFC West with an 8-4-2 record, hosting the Miami Dolphins, who had gone 10-4 to place second in the AFC East and qualified as a Wild Card entry. In this first year of the enlarged and reorganized NFL, Wild Card teams were being introduced to the postseason (at this point one per conference). Oakland, coached for the second year by John Madden, had been one of the American Football League’s strongest teams during the past three years, and remained successful in its first NFL season. 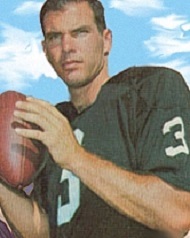 QB Daryle Lamonica (pictured above) was an accomplished long passer, although he occasionally ran into difficulties that had 43-year-old backup QB George Blanda relieving him with surprising success. The receiving corps was capable with wide receivers Fred Biletnikoff and Warren Wells plus rookie TE Raymond Chester, and the ground game was effective with HB Charlie Smith and FB Hewritt Dixon. The defense was beginning to show its age in spots, but was still formidable. Blanda provided reliable placekicking. The Dolphins were in their first year under Head Coach Don Shula and in the postseason for the first time. There were several newcomers on the roster, most notably WR Paul Warfield, obtained in a trade with Cleveland. QB Bob Griese was developing into a star and the AFC-leading ground game, led by FB Larry Csonka, was highly productive. The defense contained four rookie starters plus FS Jake Scott, who had a year’s experience in the CFL, and was anchored by veteran MLB Nick Buoniconti. Miami defeated the Raiders during the regular season and the team’s immediate success under Coach Shula was a major surprise. There were 54,401 fans in attendance on a damp day at the Oakland-Alameda County Coliseum and the field was muddy. The Dolphins had the first possession and punted. Oakland moved well with Hewritt Dixon and Charlie Smith running the ball and Daryle Lamonica completed a pass to Fred Biletnikoff for 12 yards on a third-and-two play. But the drive stalled at the Miami 16 and the Raiders came up empty when George Blanda’s 23-yard field goal attempt hit the goal post and bounced away. Miami put together a promising drive in response. Larry Csonka had a pair of five-yard runs and halfbacks Mercury Morris and Jim Kiick handled most of the running load while Bob Griese completed three passes, including to WR Howard Twilley for 14 yards and Kiick for 15 to convert third downs. But they too failed to get on the board when Garo Yepremian was wide on a 24-yard try for a field goal. The teams traded punts as the game headed into the second quarter. 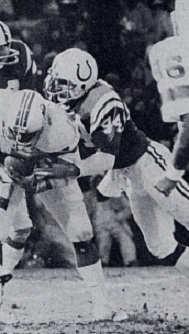 Miami got a break when DE Bill Stanfill recovered a Smith fumble at the Oakland 19. Two plays later, Griese passed to Paul Warfield for a 16-yard touchdown, Yepremian added the extra point, and the Dolphins led by 7-0. The teams exchanged punts until, taking over with 4:35 remaining in the first half, the Raiders drove 62 yards to a score. Lamonica completed a third-and-six pass to Raymond Chester for 21 yards to the Miami 37 and converted another third down with a throw to Biletnikoff for 11 yards. Another completion to Biletnikoff in the end zone was good for a 22-yard TD and Blanda converted to tie the score. The Raiders took the kickoff to start the third quarter and advanced deep into Miami territory. FB Marv Hubbard ran six times for 22 yards and Lamonica completed third down passes to Smith for nine yards and Chester for 26. But facing second-and-goal at the two, Smith fumbled again and Jake Scott recovered for the Dolphins at their 10 yard line. 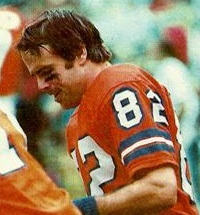 Griese immediately passed to Warfield for 24 yards and, after two short running plays, he connected with Kiick for nine yards on a third-and-six play. But Griese was then sacked for a 12-yard loss by DT Tom Keating and DE Tony Cline and, two plays later, Griese’s third-and-19 pass was intercepted by CB Willie Brown and returned 50 yards for a touchdown. Blanda added the point after to give Oakland a 14-7 lead. The Dolphins had the ball as the contest moved into the fourth quarter. A 12-yard run by Morris got the ball to the Oakland 40 and Griese passed to Warfield for 16 yards. The series stalled at the Oakland 17 and Yepremian missed to the left on a 24-yard field goal attempt. Oakland struck quickly. Hubbard ran for four yards and HB Pete Banaszak fumbled on the next play, which was recovered by OT Harry Schuh but had the Raiders facing third-and-12. Lamonica, anticipating a blitz, threw long for WR Rod Sherman who pulled the ball in at the Miami 45 and went the distance for an 82-yard touchdown (pictured below). Blanda’s extra point put the home team up by 21-7. The Dolphins came back with a long drive of 69 yards in eight plays. A personal foul on the Raiders erased a sack and Griese completed a throw to WR Willie Richardson for 23 yards. Kiick ran for 13 yards on the next play and Griese again connected with Richardson, this time in the right corner of the end zone for a seven-yard TD. Yepremian’s conversion again made it a seven-point game. However, time was running out on the Dolphins. They were unable to recover an onside kick that went out of bounds and, following a short Oakland possession, they got the ball back at their 13 with 2:28 left on the clock. Morris ran for four yards, two passes fell incomplete, one of which was intended for Warfield and knocked away by LB Gus Otto, and on fourth down a toss to Kiick came up a yard short. The Raiders were able to run out the clock and won by a final score of 21-14. Oakland had the edge in total yards (307 to 242) although the Dolphins had more first downs (16 to 12) and ran more plays (63 to 52). The Raiders also turned the ball over twice, to one suffered by Miami, and committed the only four penalties. Both placekickers had difficulty on the muddy field as Miami’s Yepremian missed both of his field goal attempts and Blanda missed one. Daryle Lamonica completed 8 of 16 passes for 187 yards and two touchdowns with no interceptions. Fred Biletnikoff had three catches for 46 yards and a TD and Rod Sherman, with his one long scoring reception, led the Raiders with 82 receiving yards. 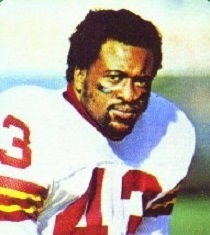 Marv Hubbard topped the rushers with 58 yards on 18 carries. For the Dolphins, Bob Griese was successful on 13 of 27 throws for 155 yards and two TDs with one interception that was returned for a score. Jim Kiick gained 64 yards on 14 rushing attempts and also caught four passes for 34 yards. Paul Warfield (pictured at left) gained 62 yards on his four receptions that included a touchdown. 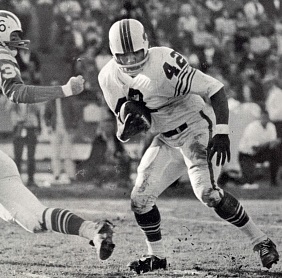 Larry Csonka was held to 23 yards on 10 carries and Mercury Morris contributed 29 yards on 8 attempts. Oakland advanced to the AFC Championship game and lost to the Baltimore Colts. The Raiders missed the playoffs in 1971 but bounced back to top the AFC West in each of the next five years. The Dolphins built upon their 1970 success to win the next three AFC Championships, including consecutive Super Bowl victories in 1972, a year in which they went undefeated, and ’73. 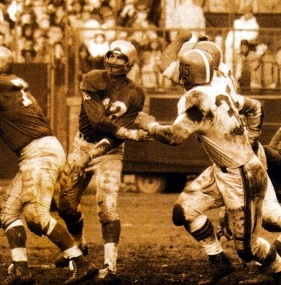 The American Football League Championship game on December 26, 1965 featured a rematch of the previous year’s participants. This time it was the Buffalo Bills, now defending champs, going on the road to face the San Diego Chargers. The Bills easily topped the Eastern Division with a 10-3-1 record. They were still coached by Lou Saban and QB Jack Kemp (pictured at right), a former Charger, was again lining up behind center and coming off of a season in which he received AFL Player of the Year recognition. But temperamental star FB Cookie Gilchrist had been dealt to Denver and not adequately replaced and injuries cost the offense the services of flanker Elbert Dubenion and split end Glenn Bass for most of the season. Flanker Bo Roberson and rookie TE Paul Costa helped to fill the void, but it was once again the rugged defense that allowed Buffalo to dominate its division. The unit that contained AFL All-Stars in DT Tom Sestak, LB Mike Stratton, CB Butch Byrd, and safety George Saimes was solid throughout. In addition, pioneering soccer-style PK Pete Gogolak led the AFL with 28 field goals. San Diego won the Western Division for a third consecutive season by going 9-2-3. Under the direction of Head Coach Sid Gillman, the Chargers had the league’s highest-scoring offense. QB John Hadl was developing into a top passer and flanker Lance Alworth was the premier player at his position, possibly in either league. HB Paul Lowe led the AFL in rushing and versatile FB Keith Lincoln was formidable when healthy, which had not been the case through much of ‘65. The defense was strongest on the line, featuring DE Earl Faison and DT Ernie Ladd, and linebackers Chuck Allen and Frank Buncom led a capable group. Moreover, the Chargers had beaten and tied the Bills during the regular season and, playing for the championship at home, were 6.5-point favorites to win. There were 30,361 fans in attendance on a pleasant day at Balboa Stadium. The game settled into a defensive battle with no scoring in the first quarter. CB Speedy Duncan of the Chargers intercepted a Jack Kemp pass at the San Diego 33, but San Diego had to punt from midfield. On their next series, starting from deep in their own territory, Paul Lowe took off on a 47-yard run, but the Bills tossed John Hadl for consecutive losses and the home team had to punt again. Coach Gillman chose to have rookie FB Jim Allison handle the punting rather than Hadl, in order to keep the quarterback rested, but when the first two kicks went just 19 and nine yards, respectively, Hadl took over that chore. Early in the second quarter, a promising series for the Chargers reached the Buffalo 28 but Herb Travenio missed a 35-yard field goal attempt that was partially deflected. The teams exchanged punts until late in the period when the Bills put together a six-play, 80-yard drive. FB Wray Carlton had two eight-yard carries and Kemp passed to Paul Costa, who made an outstanding catch for a 22-yard gain. Following two short running plays, Kemp then threw down the middle to TE Ernie Warlick in the end zone for an 18-yard touchdown. Pete Gogolak kicked the extra point. Following a short possession, the Chargers punted and Butch Byrd gathered in the 40-yard kick at his 26, evaded two tackles, and sped down the right sideline for a 74-yard touchdown. Gogolak converted again and the visitors were staked to a 14-0 lead. On San Diego’s next offensive play, Hadl’s pass was intercepted by LB Harry Jacobs, who returned it to the Chargers’ 20, but the Bills were unable to pad their lead when Gogolak missed on a 24-yard try for a field goal. The Chargers advanced to the Buffalo 24 in the waning seconds of the first half as Hadl threw to Lance Alworth for 22 yards, ran for another 13, and completed two more short passes. But Travenio was wide on a 31-yard field goal attempt to close out the half. The Chargers had the first possession in the third quarter and punted. The Bills went right to the air and a Kemp pass to Bo Roberson gained 49 yards to the San Diego 24, and while the Bills didn’t reach the end zone, they came away with an 11-yard field goal by Gogolak (pictured at left) that expanded Buffalo’s margin to 17-0. Duncan returned the ensuing kickoff 49 yards to the Buffalo 48 and Keith Lincoln ran for 10 yards on first down. But after advancing to the 29, the Chargers tried to convert a fourth-and-one situation and a mix-up in the backfield caused them to lose five yards and turn the ball over on downs. It proved to be their last opportunity to get back into the game. Following a punt by Buffalo’s Paul Maguire that pinned the Chargers back at their one yard line, the Bills blitzed Hadl, who hurried a long pass from his end zone that Byrd intercepted and returned to the San Diego 23. The Chargers continued to play tough on defense, but the Bills further added to their lead with a 39-yard Gogolak field goal. Down by 20-0 as the game headed into the fourth quarter, the Chargers again turned the ball over on downs in their own territory and Buffalo capped the scoring with a Gogolak field goal from 32 yards. San Diego never again threatened in the remaining time and Buffalo won by a final score of 23-0. The Bills led in total yards (260 to 223) and first downs (23 to 12). They also recorded five sacks, at a loss of 45 yards, to two by San Diego. The Chargers turned the ball over twice, to one by Buffalo, and were unable to take advantage of scoring opportunities. Jack Kemp was not especially efficient with his passing, completing 8 of 19 throws, but they were good for 155 yards and a touchdown against one interception. Bo Roberson had three catches for 88 yards and Ernie Warlick contributed three receptions for 35 yards and a TD. Wray Carlton led the Bills with 63 rushing yards on 16 carries. Butch Byrd (pictured below) made significant contributions with an interception that he returned 24 yards and the touchdown on the punt return. Pete Gogolak was successful on three of his five field goal attempts. For the Chargers, John Hadl, harried by the fierce pass rush, was successful on 11 of 23 throws for 140 yards and gave up two interceptions. Lance Alworth, who was double-teamed throughout the contest, caught four passes for 82 yards and Paul Lowe gained 57 yards on 12 carries, although most of that total came on one play. The AFL Championship game triumph proved to be the end for Coach Saban, who resigned to become head coach at the University of Maryland. Joel Collier, the assistant coach who had been in charge of the defense, was elevated to the top job. The Bills once again finished first in the Eastern Division but lost the title game to Kansas City and went into decline, not posting another winning record until 1973. The defeat for the AFL Championship also marked a transition for the Chargers. After having appeared in five of the league’s first six title contests, they did not appear in another. San Diego remained a respectable team but was blocked by the Chiefs and Raiders in the Western Division even while posting records above .500 for the remaining four AFL seasons before the merger with the NFL in 1970. The Chargers did not reach the postseason again until 1979. The undersized Jones-Drew displayed outstanding all-purpose skill in college, receiving consensus All-American honors for his kick returning and earning second-team Pac-10 recognition as a running back. He was chosen by the Jaguars in the second round of the 2006 NFL draft and, splitting time with veteran RB Fred Taylor, rushed for 941 yards and 13 TDs as a rookie. Jones-Drew also caught 46 passes for 436 yards and two more scores and returned 31 kickoffs for a 27.7-yard average and another touchdown, to give him a total of 16 TDs in addition to 2250 total yards. Expected to be more of a third-down back, he proved tough enough to run between the tackles and had the speed to be a breakaway threat. Jones-Drew gained another 2014 yards in much the same fashion in ’07. He saw his kick returns decrease but rushing attempts increase in 2008 and he gained 824 yards on the ground and caught a career-high 62 passes for 565 yards to total 1389 yards from scrimmage and score 14 TDs. Taylor was released and Jones-Drew, who was signed to a contract extension, became the starting running back, although there were concerns about his ability to withstand injury in an increased role. Jaguars went 7-9 to finish fourth in the AFC South. “MJD” went to the Pro Bowl following each of the next two seasons. He gained 1641 yards from scrimmage in 2010 and led the NFL in rushing with 1606 yards in 2011, when he was also a consensus first-team All-NFL selection. But after three years of impressive durability in which he missed just two games due to injury, Jones-Drew was sidelined by a foot injury that cost him most of the 2012 season. He came back in 2013 to play in 15 games but averaged only 3.4 yards per carry in rushing for 803 yards and was allowed to depart to Oakland as a free agent in ’14, where he saw scant action after breaking his hand in the first week and retired in the offseason. Overall, Jones-Drew rushed for 8167 yards on 1847 attempts (4.4 avg.) and 68 touchdowns, caught 346 passes for 2944 yards (8.5 avg.) and 11 TDs, returned 79 kickoffs for a 26.0 avg. and another two TDs and averaged 8.9 on 15 punt returns. All but 167 of his yards from scrimmage came with Jacksonville, and he gained 13,277 total yards and scored 81 touchdowns, all with the Jaguars, making him the franchise’s career leader. Jones-Drew was a consensus first-team All-NFL selection once, received other first- or second-team honors after two other seasons, and was selected to the Pro Bowl three times. The AFC Divisional playoff game on December 24, 1977 featured the Denver Broncos, champions of the AFC West at 12-2 and newcomers to the postseason, hosting the Pittsburgh Steelers, AFC Central champs for the fourth straight year with a 9-5 record. The Broncos, coached by Red Miller, were appearing in the postseason for the first time in a franchise history dating back to 1960 in the American Football League. 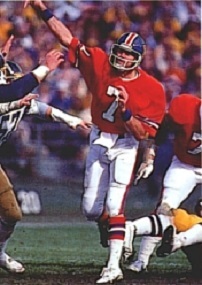 They had made it with a conservative offense directed by QB Craig Morton (pictured above), who was new to Denver but a 35-year-old veteran previously with Dallas and the Giants. The key to success was the rugged “Orange Crush” defense that included DE Lyle Alzado, linebackers Randy Gradishar and Tom Jackson, CB Louis Wright, and SS Bill Thompson. Pittsburgh had enjoyed great success under Head Coach Chuck Noll, winning back-to-back Super Bowls following the 1974 and ’75 seasons and reaching the AFC title game in 1976. However, there had been off-field turmoil heading into the 1977 season and the team was uncharacteristically turnover-prone on offense and less dominating on defense, and they lost to Denver during the regular season. Still, the nucleus of QB Terry Bradshaw, FB Franco Harris, and wide receivers Lynn Swann on offense and DT “Mean Joe” Greene, linebackers Jack Lambert and Jack Ham, and CB Mel Blount on defense was intact. It was a sunny day at Mile High Stadium with over 75,000 fans in attendance and they saw the teams exchange punts to start the game. The Steelers had to punt again following their second possession but the kick by Rick Engles was blocked by WR John Schultz and Denver had the ball at the Pittsburgh 17. HB Rob Lytle carried four straight times, the last for a seven-yard touchdown, and Jim Turner added the extra point for a 7-0 lead. The clubs resumed trading punts as the game moved into the second quarter. The Steelers finally mounted a scoring drive that covered 56 yards in 11 plays. 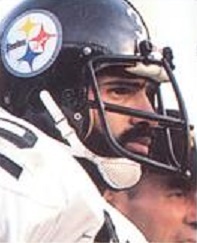 Terry Bradshaw converted a third-and-nine situation with a pass to TE Bennie Cunningham that covered 19 yards and Franco Harris (pictured below) ran effectively, including a 14-yard run on a fourth-and-one play at the Denver 27. Two carries by HB Rocky Bleier and a Bradshaw throw to Lynn Swann had the visitors facing first-and-goal at the two, and while it took three plays, the Steelers got a TD when Bradshaw leaped into the end zone from just inches away. Roy Gerela converted to tie the score. The Broncos had to punt again and the Steelers advanced to their 45 before Harris fumbled after being hit by DE Lyle Alzado and LB Tom Jackson recovered and returned it 30 yards. On the next play, HB Otis Armstrong ran 10 yards for a touchdown and, with Turner’s point after, the home team was back on top by 14-7. The Steelers started their next series with 4:04 remaining in the first half and drove 65 yards in nine plays. Bradshaw completed four passes, the longest to John Stallworth for 21 yards, and just after the two-minute warning Harris took a handoff, started to his right, and then reversed field for a 20-yard gain to the Denver two. Two plays later, Harris ran to the right for a one-yard TD and, with Gerela’s kick, the score was once more knotted at 14-14, and that was the tally at the half. The Steelers had outgained Denver by 183 yards to 44, but the ability of the Broncos to capitalize on the blocked punt and fumble to stay even on the scoreboard. The teams again exchanged punts to start the third quarter. Denver advanced deep into Pittsburgh territory on its second series, with the big plays passes by Craig Morton to WR Haven Moses for 27 yards and TE Jim Jensen for 29. That gave the Broncos a first-and-goal at the two, but the Steelers kept them out of the end zone as Armstrong ran for a yard, Morton had a pass batted down, and Lytle was stopped three inches short of the goal. Jensen gained nothing on a fourth down run and the Broncos turned the ball over on downs. The Steelers were pinned back at their one and the resulting short possession led to a punt that gave the ball back to Denver at the Pittsburgh 41. Four plays later, Morton passed to TE Riley Odoms, who gathered the ball in at the six and ran the remaining distance for a 30-yard touchdown. Turner converted and the Broncos again had a seven-point lead at 21-14. Pittsburgh had to punt on the last play of the period and Denver’s first series of the fourth quarter resulted in a punt as well. WR Jim Smith returned the kick 17 yards to the Pittsburgh 39 and, following a short run by Bleier, Bradshaw fired passes to Cunningham for 11 yards and Stallworth for 48 yards to the Denver one. From there on the next play, Bradshaw threw to Larry Brown, a tackle lined up at end, for a TD. Gerela kicked the extra point and the score again was tied. The Broncos responded with a 39-yard drive in seven plays. Morton threw to Armstrong for a nine-yard gain and followed with a pass to Moses for 18 yards to the Pittsburgh 36. Lytle ran for three yards and a Morton bootleg picked up six. While a third-and-one pass was tipped and fell incomplete, Turner kicked a 44-yard field goal that staked Denver to a 24-21 lead. Smith returned the ensuing kickoff 34 yards to give the Steelers good starting field position at their 40, but on their second play a Bradshaw pass was intercepted by Jackson, who returned it 32 yards to the nine yard line. The Broncos couldn’t reach the end zone from there but came away with another Turner field goal, this time from 25 yards, to extend the lead to 27-21. Pittsburgh took over again on offense with just over five minutes to play and Bradshaw came out throwing. He had four completions, one to Cunningham for 12 yards to convert a third down and another to Bleier for seven yards in a third-and-six situation. But his next pass was picked off at midfield by Jackson, making yet another big play on defense, and the linebacker ran it back 17 yards. 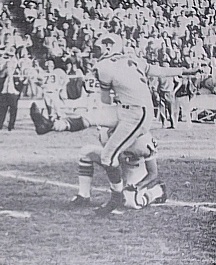 Two plays later, with the defense anticipating that the Broncos would keep the ball on the ground, Morton fired long to WR Jack Dolbin (pictured at right) in the end zone for a 34-yard touchdown. While the Steelers had one more possession, the game was effectively over. Denver won by a final score of 34-21. The Steelers had more total yards (304 to 258) and first downs (18 to 15), but also turned the ball over four times, to one by Denver. Pittsburgh also was hurt by 10 penalties, at a cost of 67 yards, to three flags for 20 yards thrown on the Broncos. Craig Morton completed 11 of 23 passes for 164 yards and two touchdowns with no interceptions. Otis Armstrong topped the Broncos with 44 rushing yards on 11 carries that included a TD and Rob Lytle contributed 26 yards and a score on his 12 attempts. Riley Odoms had 5 catches for 43 yards and a touchdown and Haven Moses gained 45 yards on his two pass receptions. Tom Jackson (pictured below) was the defensive star with the two big interceptions plus a fumble recovery. For the Steelers, Terry Bradshaw was successful on 19 of 37 throws for 177 yards and a TD, but gave up three interceptions. Franco Harris gained 92 yards on 28 carries that included a touchdown and also caught four passes for another 20 yards. John Stallworth also had four receptions, for a team-leading 80 yards. Denver, having achieved its first playoff victory, went on to defeat the division-rival Oakland Raiders for the AFC Championship but was dominated in the Super Bowl by the Dallas Cowboys. The Steelers, with many commentators suggesting that they were a fading club following the disappointing 1977 season, bounced back to win the next two Super Bowls and defeated the Broncos at the Divisional level in ’78. Blackwood was an All-Southwest Conference selection in 1971 and ’72. Chosen by the Denver Broncos in the ninth round of the 1973 NFL draft, he was waived prior to the season but signed with the Cincinnati Bengals, where he was primarily used on special teams, including returning punts. Following three seasons as a backup safety for the Bengals, Blackwood moved on to the Seattle Seahawks in the 1976 expansion draft. After an undistinguished year, he was waived prior to the ’77 season and picked up by the Colts. Thus far, he had started a total of seven games and intercepted two passes in four NFL seasons. Blackwood moved into the lineup at free safety with surprising results. Colts went 10-4 to finish first in the AFC East while finishing second in the NFL in interceptions (30). Lost AFC Divisional playoff to Oakland Raiders (37-31). 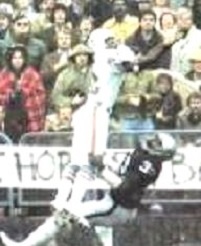 Blackwood intercepted four passes in 1978, returning two of them for touchdowns, and had another four in ’79. He lost his starting job in 1980 and moved on to the Miami Dolphins in 1981, where he teamed with his brother Glenn as part of an outstanding safety tandem and enjoyed his greatest notoriety. 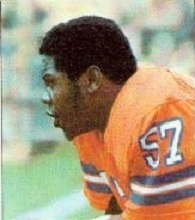 Blackwood spent the last six years of his career with the Dolphins, before being waived in 1986. He ended up intercepting 35 passes, two of which he returned for touchdowns, and recovering 15 fumbles. 19 of the interceptions and 11 fumble recoveries occurred while with the Colts. He also returned 69 punts for a 4.6-yard average and 20 kickoffs with a 20.2 average. The NFC Divisional Playoff game on December 22, 1973 featured the Minnesota Vikings, first place finishers in the NFC Central at 12-2, hosting the Washington Redskins, who placed second in the NFC East with a 10-4 record and qualified for the postseason as a Wild Card entry. The Vikings were in their seventh season under Head Coach Bud Grant and back in the postseason after a one-year hiatus in 1972. Prior to that they had won four straight division titles, but lost their last two Divisional round games. 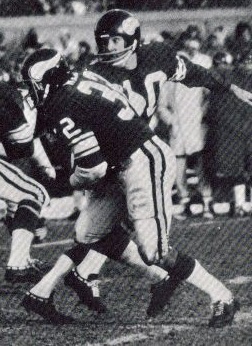 QB Fran Tarkenton (pictured above), an original Viking, returned to the club in ’72 and was making his first postseason appearance in his 13th year as a pro. 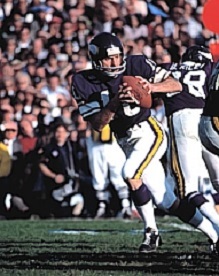 Tarkenton was talented and known for his scrambling style, but still had something to prove to critics who questioned his ability to come up a winner in big games. WR John Gilliam was a fine receiver and the addition of rookie FB Chuck Foreman helped both the running and passing attack. The tough defense remained the key to the team’s success, in particular the line with ends Carl Eller and Jim Marshall and tackles Alan Page and Gary Larsen. The Redskins, coached by George Allen, were the defending NFC Champions and still a very strong, veteran-laden club. Gritty QB Bill Kilmer directed an offense that included the running of HB Larry Brown and a strong receiving corps with wide receivers Charley Taylor and Roy Jefferson and TE Jerry Smith. The defense was strong and adept at pressuring opposing quarterbacks. While Washington was also known for the quality of its special teams play, PK Curt Knight caused concern with his erratic tendencies. In addition, Kilmer had been hospitalized during the previous week due to a stomach disorder. There were 45,475 fans in attendance at Metropolitan Stadium on a day with temperatures in the twenties and a seven mph wind. The field had been cleared of snow and dyed green to hide the wear. Minnesota came out throwing, but a Fran Tarkenton bomb to an open John Gilliam just grazed the receiver’s finger tips, which was the closest the Vikings came to pulling off a big play in the early going. The Redskins missed a scoring opportunity in the first quarter when they drove from their 14 into Minnesota territory but Curt Knight failed on a 17-yard field goal attempt. Later in the period, Knight again missed a field goal attempt, coming up short from 49 yards. The Vikings were stymied on offense and didn’t register a first down until two minutes into the second quarter, but they finally came up with a big play when Tarkenton completed a pass to HB Oscar Reed for a gain of 50 yards and that set up a 19-yard field goal by Fred Cox. With 3:30 remaining in the first half, the Redskins got a break when CB Bobby Bryant fumbled a punt and HB Bob Brunet recovered for Washington at the Minnesota 21. Three plays later, which included a pass from Bill Kilmer to Charley Taylor for 17 yards, Larry Brown (pictured at left) ran for a three-yard touchdown. Knight added the extra point for a 7-3 lead. The Vikings advanced into field goal position as Tarkenton completed passes to WR Carroll Dale and Chuck Foreman, but an interception inside the ten yard line snuffed out the threat and the score remained unchanged at the half. During halftime, Minnesota DE Carl Eller delivered an emotional speech to his teammates, who had played without apparent emotion during the first half, saying that they had come “too damn far” and were “embarrassing ourselves”. To accent the point, he proceeded to break apart the team’s blackboard. The tirade made an impression and the Vikings showed more fire in the second half. Early in the third quarter, Reed, taking advantage of the defense’s keying on Chuck Foreman, broke six tackles on a 46-yard carry that set up a two-yard TD run by FB Bill Brown. Cox added the point after and the home team was ahead by 10-7. Meanwhile, the Redskins were now without CB Pat Fischer, who suffered cracked ribs in the second quarter and was unable to continue. He was replaced by DB Speedy Duncan, also experienced but typically a kick returner who was more comfortable at safety. Washington managed to tie the score before the period was over with Curt Knight’s 52-yard field goal that matched the then-league playoff record. Knight kicked another field goal, from 42 yards, on the first play of the fourth quarter, and the visitors held a 13-10 edge. The Vikings proceeded to advance 71 yards in eight plays concluding with a Tarkenton pass to Gilliam, who beat Duncan for a 28-yard touchdown. Cox converted and Minnesota was back in the lead by 17-13. On Washington’s next offensive play, CB Nate Wright intercepted a Kilmer pass and returned it 26 yards to the Redskins’ eight. Two plays later, it was Tarkenton to Gilliam again for a TD, this time from six yards out and after the nimble quarterback scrambled out of trouble, running to his left and then right before finding the receiver open in the right corner of the end zone. Cox added the point after and, in the space of 1:05, the Vikings had scored twice to take a 24-13 lead. The Redskins managed to get on the board again following DB Ken Stone’s block of a Mike Eischeid punt. Kilmer passed to WR Roy Jefferson for a 28-yard touchdown with 5:28 left to play and Knight converted to close the margin to four points. The Vikings were able to use up four minutes on a series that concluded with Cox kicking a 30-yard field goal. Washington fought back in the remaining time as Kilmer completed three passes, but the drive came to an end at the Minnesota 42 on a fourth down incompletion. Minnesota won by a final score of 27-20. The statistics were fairly even. The Vikings led in total yards (359 to 314) while Washington had the edge in first downs (18 to 17). Each team turned the ball over twice. The game was almost penalty-free, with Minnesota drawing the only two flags at a minimal cost of nine yards. Fran Tarkenton completed 16 of 28 passes for 222 yards with two touchdowns and one interception, and was at his best as the Vikings took command in the second half, when he hit on eight of ten throws and both TDs. John Gilliam had just two catches for 36 yards, but they accounted for both touchdowns. Oscar Reed (pictured below) rushed for 95 yards on 17 carries and caught 5 passes for 76 more yards. Chuck Foreman contributed 40 yards on 11 attempts and had three pass receptions for 23 yards. For the Redskins, Bill Kilmer was successful on 13 of 24 throws for 159 yards and a TD along with an interception. Larry Brown, who was playing with injured ribs, gained 115 yards on 29 rushing attempts and scored a touchdown. Roy Jefferson caught 6 passes for 84 yards and a TD and Charley Taylor contributed four receptions for 56 yards. The Vikings went on to defeat Dallas for the NFC Championship before losing to Miami in the Super Bowl. Washington came back in 1974 to again go 10-4 and reach the playoffs as a Wild Card. The Redskins lost in the Divisional round, this time to the Rams.